Viewed from Stedman St. All houses still standing. 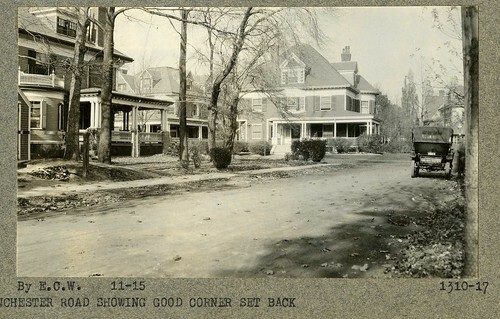 Photo rear, l to r: 29 and 23 Manchester Rd. Foreground left: side view of 28 Manchester Rd. on the corner.